After graduating from the Ontario Veterinary College in 1992, I worked for several years as an associate veterinarian in a small animal clinic in Ottawa. In 1997, I began a house call practice in my hometown of Kingston, Ontario, offering veterinary care for pets in their homes. I also taught part-time for many years in the Veterinary Technology program at St. Lawrence College. As my house call practice grew, it also evolved, with an increasing emphasis on relationship-based medicine. 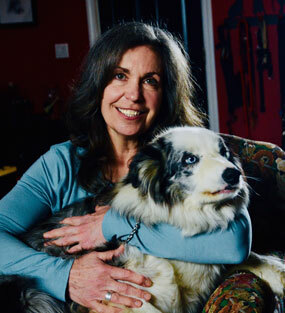 I made time to collaborate with pet owners in a unique way – to listen, educate, and explore the options that best fit with an owner’s specific philosophy of care for their pet. Together we were able to develop an individualized wellness plan that reflected personal goals and priorities. Over time I let go of certain aspects of veterinary medical practice that I thought could be handled better within a hospital setting (like diagnostics and treatments to cure disease) and focused more on under-served areas, like supporting pet owners as they navigated the uncertainties and worries around caring for a pet at the end of its life. I pursued continuing education in geriatric medicine and palliative care. I joined the International Association for Animal Hospice and Palliative Care. In 2017 I earned certification as a Certified Hospice and Palliative Care Veterinarian. Today my practice deals exclusively with end-of-life care for pets.